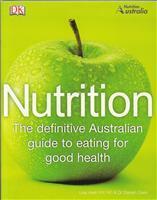 AUTHORITATIVE AND HIGHLY ACCESSIBLE, Nutrition is the complete practical guide to every aspect of healthy eating. This new home reference contains up-to-date food facts and focuses on good nutrition as a way of life. Nutrition has been written and designed in a user-friendly split-page format where theory and practical application appear together throughout the book. The authors explain in a very approachable way how to achieve a balanced diet, with recipes and sample menus throughout. A substantial chapter, "The Truth About Weight Control", addresses the issues of weight loss and weight gain, but equally importantly the authors tackle the issue of how to maintain an optimum weight. This section includes a discussion on obesity – a major health problem in the developed world – as well as detailed evaluations of more than 40 weight-loss programmes. In addition, the authors provide a personal weight-management plan.